Arcapita, the global investment management firm, said it has completed the sale of J.Jill Group, a leading US-based multi-channel retailer of women’s apparel, accessories and footwear, to TowerBrook Capital Partners, a New York and London-based investment management firm. The Bahrain-based company did not disclose the transaction value. 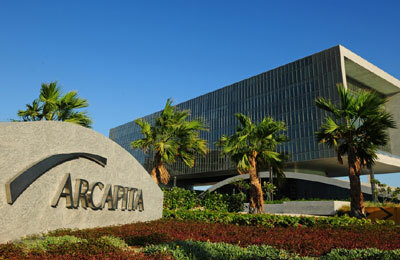 Commenting on the sale, CEO Atif A. Abdulmalik said: "Since Arcapita’s investment, and with the support of the J.Jill Board and the Bahrain firm’s US investment and post-acquisition team, the management of J.Jill had executed a successful strategy that resulted in industry-leading growth and margin performance." "We are very pleased with the profitable outcome of this investment, which follows a series of notable exits achieved in recent months. With the exit from J.Jill, Arcapita has delivered approximately $2.5 billion in exit proceeds to investors during the past two years," he stated. Originally founded in 1959 and headquartered in Quincy, Massachusetts, J.Jill provides inspired styles to its loyal customer through an expanding base of more than 250 retail stores, a well-established catalog, and an extensive ecommerce platform. Arcapita had acquired a majority stake in J.Jill in April four year ago. Martin Tan, the chief investment officer at Arcapita, said: "Over the past three years, J.Jill has grown revenues to record levels and has opened 24 new stores across the US in what has been a difficult environment for most retailers in women’s apparel."